I didn't think I would be posting photos but you have all inspired me. 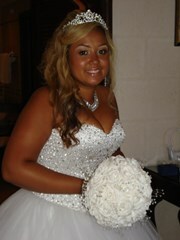 You look beautiful hunny- congrats what a beautiful bride very Lucky man. Your day looks amazing and you looked soooooo happy!,, how does it feel to be a married women? Thank you - we had an amazing day. Married life is good thanks (although not hugely different in some ways!). 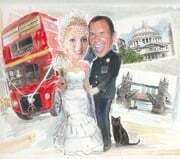 Good luck for your special day - not long to go!! Sooo the big question is...where are those amazing shoes from? Beautiful bride. You hair colour is amazing! I'm SO jealous of your hair, it actually hurts a little bit. If I could work out how to put pictures up properly I could post some more.